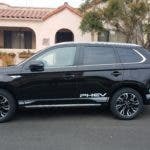 The Mitsubishi Outlander PHEV, which has long been a very popular plug-in vehicle in Europe, has already set a sales record in Canada after its relatively recent introduction there. 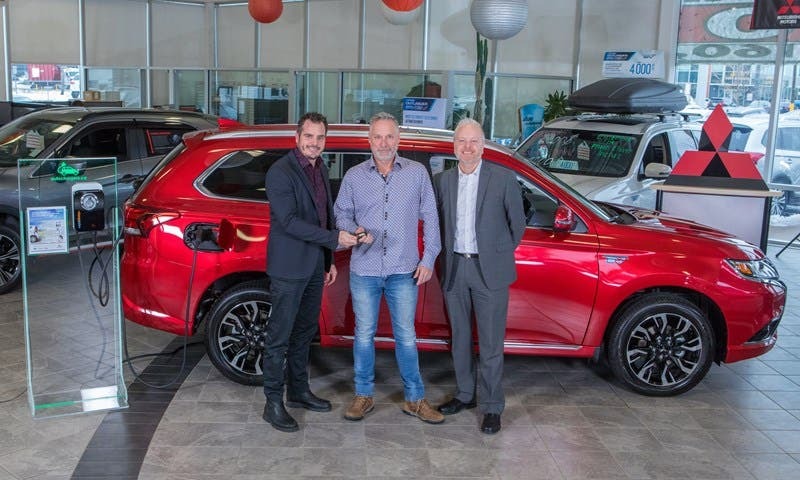 Mitsubishi has already sold over 5,000 Outlander PHEVs in the northerly country. That’s the first time ever that a plug-in hybrid has scored over 5,000 sales in one year in Canada. The Outlander PHEV offers a special mix that is still unique on the market. It is an SUV (which consumers love) at a mid-range, fairly affordable price. There are other plug-in SUVs on the market, but they’re all in more expensive, luxury classes. There are also other affordable electric cars on the market, of course, but they are all considerably smaller. The downside of the Outlander PHEV is that it has a pretty small battery. It would be much more valuable and cleaner with a battery twice the size. But that’s apparently part of the trade-off. As long as you are mostly driving ~10 miles at a time and recharging, you can do much driving on the electric powertrain. 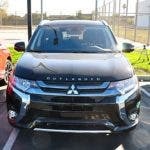 We’ve reviewed the Outlander PHEV a few times. 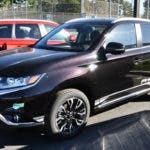 See “1 Week Behind The Wheel Of 2018 Mitsubishi Outlander PHEV, Part 1” and “1 Week Behind The Wheel Of The 2018 Mitsubishi Outlander PHEV, Part 2” as well as our much earlier 2015 test drive review.